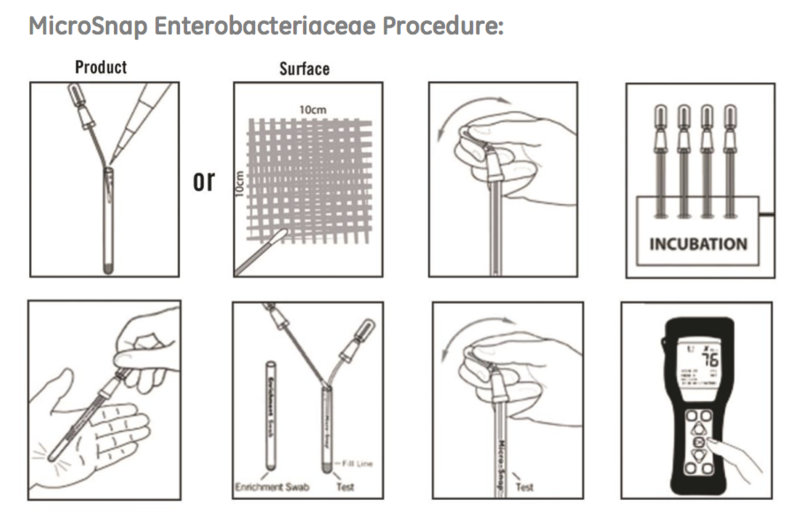 MicroSnap EB is a rapid test for detection and enumeration of Enterobacteriaceae (EB) bacteria. The test uses a novel bioluminogenic reaction that generates light when EB bacteria are present. The light generating signal is then quantified in the EnSURE luminometer. Organisms are detected in 6 – 8 hours, enabling MicroSnap EB to give results in the same working day or shift.